Not so long-ago political analysts and mainstream commentators were already writing the eulogy of the Economic Freedom Fighters (EFF) because of the election of the ANC President Cyril Ramaphosa and the removal of the former president Zuma. Fast forward to October 2018, the EFF Students Command (EFFSC) has taken over 20 universities out of 26 and the EFF has successfully convened Regional Peopleâ€™s Assemblies (PRA) and Provincial Peopleâ€™s Assembly (PPA) throughout South Africa. 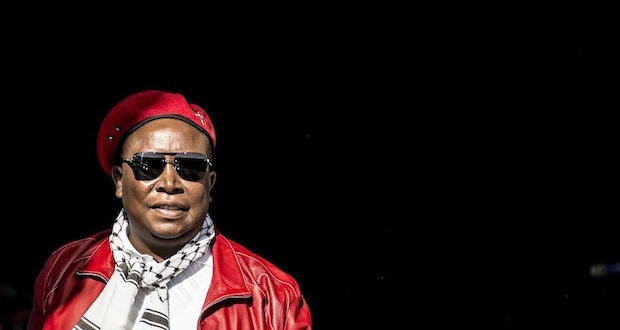 This clearly indicating to South Africans that EFF is growing through leaps and bounds, writes SESHUPO J. MOSALA. This has left most political analysts and mainstream commentators baffled. In their attempts to explain the phenomenon they have resulted to insults and undermining the members and supporters of the EFF. One such a mainstream commentator is Prince Mashele, in his latest opinion piece, he claims that EFF thrives on the Back of Jobless and uneducated youth.Â The articles if full of emotions and clearly indicate his distaste for the EFF, hence the article if filled with factual errors, and a personal attack on the EFF leadership (again like most of the commentators, he failed to engage the policies of the EFF). The article is a repetition of what has been written about the leadership of the EFF particularly Julius Malema and his dealings in Limpopo Province. The article is a repetition of what has been written about the leadership of the EFF particularly Julius Malema and his dealings in Limpopo Province. For Mashele the call for nationalisation of mines and land expropriation without compensation is used as a pretext to attract voters. The author fails to understand that the initial struggle was about the land and therefore the economy. The EFF is merely continuing with the struggle for decolonisation which was started by our grandparents. The seven cardinal pillars, Mashele claim the EFF has invented can be traced to the ANC Youth League document A clarion call to the economic freedom fighters which derives from the Freedom Charter and 1969 Morogoro Conference Strategy and Tactics document that clearly articulated that â€œit will be inconceivably to have to speak of political and national liberation, without speaking of economic freedom. To do so would be to perpetuate racism and white supremacyâ€. The existence of the EFF is because of the failure of the current pseudo black government to transform the economy. This is the struggle which the EFF is waging. The question of joblessness is the result of neoliberal economic policies (GEAR, ASGISA, NGP, NDP) that the pseudo black government continued with, which were implemented by the apartheid government in the 1980s. The EFF policies seeks to resolve this colonial economic system which was perpetuated post â€“ 1994. The narrative to vilify the EFF is a deliberate plan to shy away from admitting that the message of the EFF resonates with majority of South Africa. Their narration clearly indicates how the so-called South Africa intelligentsia is aloof from the people and the situation on the ground. The EFF and its policies speaks to the wretched of the earth in South Africa, majority of South Africans which havenâ€™t enjoyed the fruits of democracy and political freedom, it speaks to the marginalised without a voice in which the struggle for economic freedom is a way of life. The millions of economic freedom fighters from rural areas; townships and informal settlements: domestic workers that wake up every morning to go clean after the rich (mainly whites) and raise their children while neglecting their own; miners that leave their family for months on end just to put food on the table; vendors at the school gate or streets of cities/towns selling amagwinya, sweets, loose cigarettes, and fruits in this scorching sun; and unemployed youth that wake up every morning to walk to town just to come back disappointed – the message of economic freedom in our lifetimes resonates with them. The EFF as a protest organisation and its struggle against racism, corruption and for service delivery bring dignity to African people. Black South Africans during colonialism and apartheid were dehumanised and forced into a state of non-being. This has continued under the pseudo black government as the living conditions of majority of black people have indicated. The EFFâ€™s struggle against racism which have been clearly publicised is the struggle for the humanisation of black South Africans. The struggle against lack of service delivery in our township particularly in public hospitals where the downtrodden are dehumanised, is the struggle for humanisation which a comprador intelligentsia such as Mashele wonâ€™t understand. This is not an imaginary strength as Mashele claims but its part of the struggle which turn a colonised from a non-being to an absolute being. Itâ€™s a creation of a new man that understand that he has the power to change the status quo and strive for unity and economic freedom. Through their struggle against a pseudo black government and imperialism the masses come into being. Comprador intelligentsia (Mashele, Moeletsi Mbeki, Justice Malala, etc) wonâ€™t understand this, since all they do is to mimic their white counterparts without being critical. Seshupo J. Mosala is a PhD candidate (Political Studies) at the North-West University. Funny how the rise of the EFF has coincided with the rebirth of old apartheid classifications of skin colour in common discourse. They claim to be struggling against racism and yet their entire raison d’etre is to re-inforce the racist divisions implemented by the national party. I’ve never heard an EFF speech where race is not mentioned. They’re nothing but the opposite side of the same cloth from which the freedom front is cut. the reason why you always hear something to do with white people mentioned in their speeches is ‘whiteness’ and that arrogance which still persist in majority of them. Majority of who? Can you provide examples of such arrogance? Illegally firing a rifle in the air at a rally seems pretty arrogant to me. How about singing songs calling for the murder of people based on the colour of their skin? Fighting in parliament? The list is endless when one one starts tallying up EFF arrogance. What have you got on the “majority” of melanin-challenged South Africans that overshadows my small sample of examples? It would be absurd to speak of South Africa’s problems without the mention of race – the key factor that brought us where we are to begin with. We still have a long way to go before we place race at the backseat.